When it comes to purchasing a container or grow pot for autoflowering marijuana, it is important to identify the size. There are many opinions out there of how big or small should the pot be but the truth is that no two plants are exactly the same and before choosing the right pot size you need to think about some aspects that can affect your decision. In this article, let us learn more about autoflower in 5-gallon pots. For growing autoflowering marijuana from nothing, the very first thing that you need to consider is the pot size that is suitable for your marijuana plant. Usually, a grower would be looking for a nice container, such as a plastic party cup, for instance, so you can watch as it goes through the different stages and sees it blooms and grows. Using plastic party cup is actually one big mistake which most new growers commit. As a basic rule of thumb, you must study and research about your plant first even before you plant it. By doing so, you will understand its potential size as well as its growth requirements so you can grow a healthy and mature marijuana plant. You will find information about the size of a mature cannabis strain from many online sources or from growers who have actually grown one. When growing a regular strain, there are a few simple rules that actually exist. First, you should use a gallon of growing medium every month. The reason being is that the plant is thriving or you can assume your plant’s growth by using one gallon for each foot of growth. Therefore, if your plant will grow in 5 months then you need a 5-gallon pot for it. It is time to move and autoflower in 5-gallon pots. But it is never easy if you wanted to grow autoflowering marijuana plants because you also need to take into consideration the duration of your auto plant will live as well as the actual size of the plant. You also need to consider how big the stature of your plant you want to get. This is the main reason why a lot of growers prefer auto because these marijuana plants are believed to be smaller than the regular marijuana plant. Growers who have a very limited space could also depend on auto-flowering plants because these plants can give the good number of yield considering that the light, the nutrition, and stress-free growth are met. 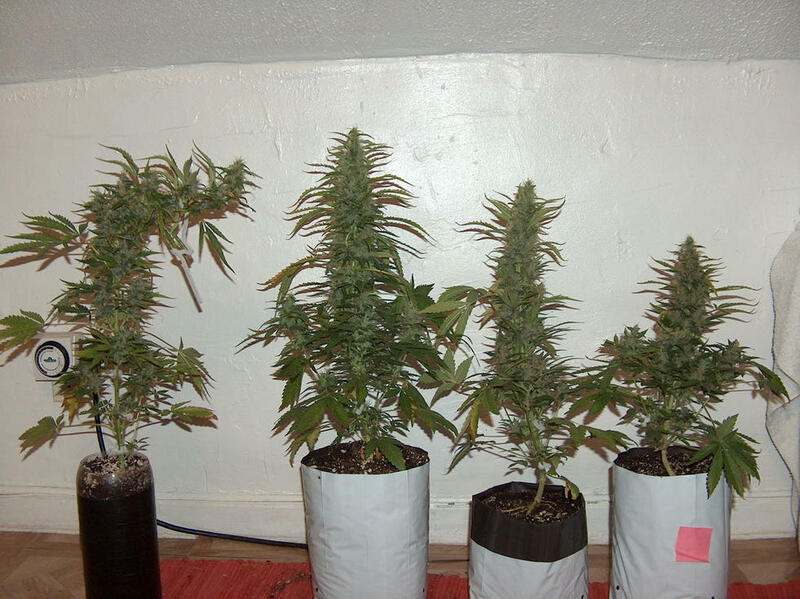 Basically, autoflowering plants do not grow higher than 18 inches in height. These plants are considered mature as well as ready for harvest in just 8 weeks. If this was the case then the ideal pot size for auto-flowering marijuana plants would be 1.5 to 2.5-gallon pots or pots with 5.6 to 9.4 liters in volume. 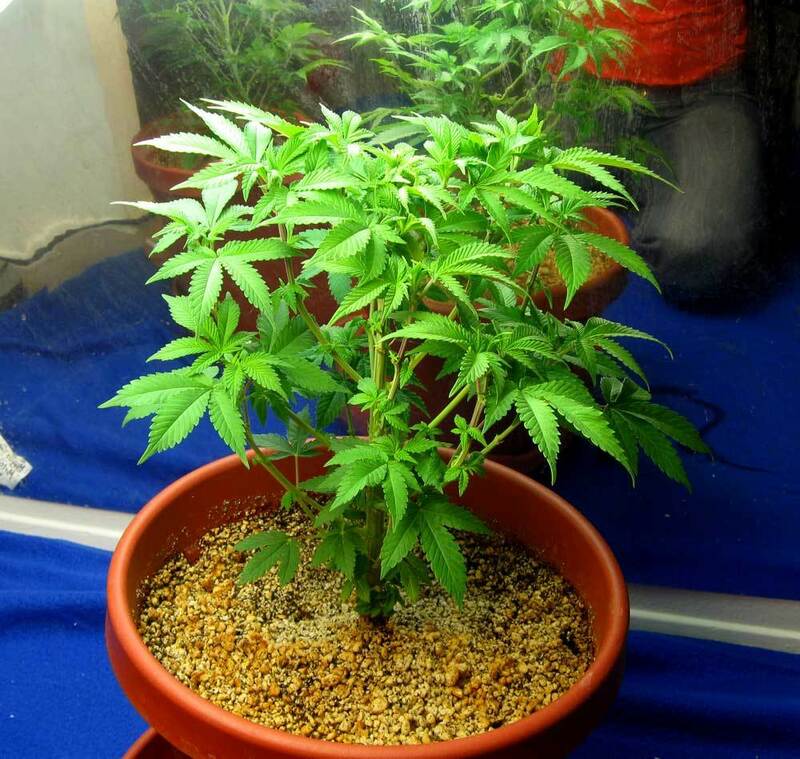 Placing the auto-flowering marijuana in small party cup sizes could be serious, making a mistake of planting. You must not waste any time transplanting your plants into a bigger pot, not until you can see that the plant is healthy and strong enough to survive a transplant. 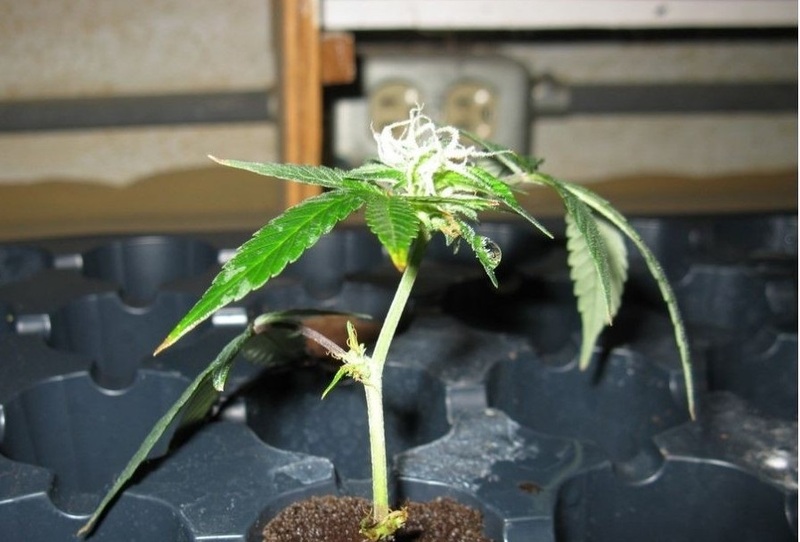 A transplant is a process which it is basically removing the young seedling plant from a small container and transferring it to a bigger one and in the case of auto plants, placing it in a much suitable container where it can finally grow and then flower soon will be ready for harvest in just 8 weeks. The key to transplanting is to prevent root lock which could be very detrimental to auto plants. Root lock will prevent the plant from getting enough nutrients from the soil and from clean air to come into the plant through the soil. You must transplant to keep this from happening and save your precious plant ASAP. So, transplant your young plant by getting the new pot ready first. Place soil medium and fill the pot halfway. Create a small well in the middle where your young plant will go. Water the soil and the well and let this water drain off the hole of the pot. Let the soil dry for a few minutes. The perfect pot size is somewhere between these numbers and every grower that wants to maximize the yield and doesn’t want to waste any growing space or dirt must try different pot sizes and see how the particular autoflower strain grows in different sized pots and determine what is the perfect pot size for it. For the small and micro-scale growers, pot sizes can also be a big advantage because you can easily manage your plant’s size by putting it in a smaller container. This small container will soon be full of roots and that plant will be root-bound and won’t grow as fast as it could but it will stay small. And for small spaces, small plants are perfect! This small plant can be further trained with Low-Stress Training and with small pots and training growers can get very good yield in small spaces! 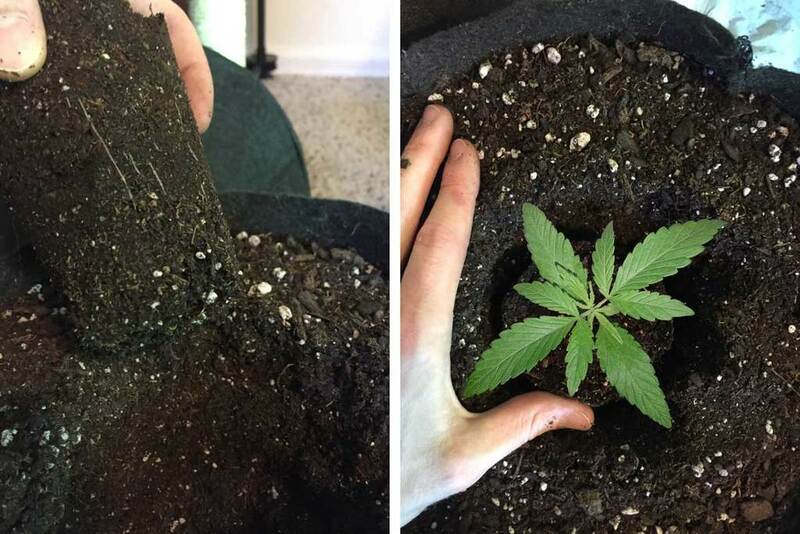 Basically, a smaller pot means a smaller plant so you need to experiment what pot sizes are good for your autoflower to grow and stick to that one size because transplanting autoflowers will decrease their yields and it is best to start them in the container where they will finish! As mentioned above that auto-flowering plant is best in 5-gallon pot to maximize its full capacity and that all other things need to be considered. It is time to autoflower in 5-gallon pots today!